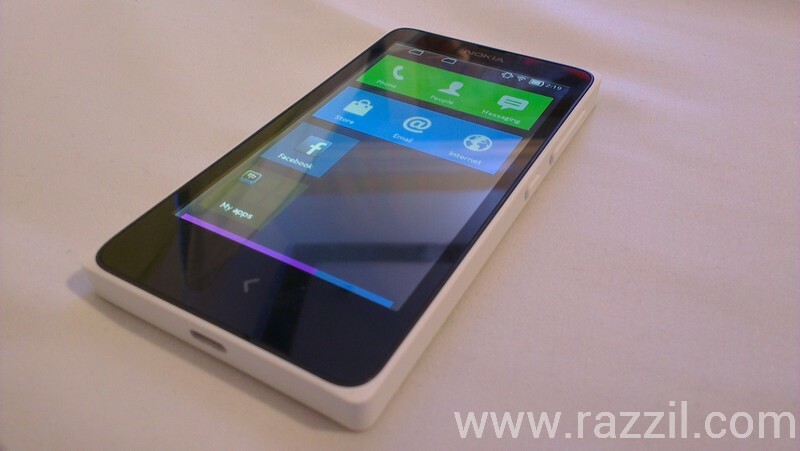 Nokia India has launched the Nokia X, part of the new Nokia X family that runs on Android Open Source Project (AOSP). The new Nokia X family includes Nokia X, Nokia X+ and Nokia XL. 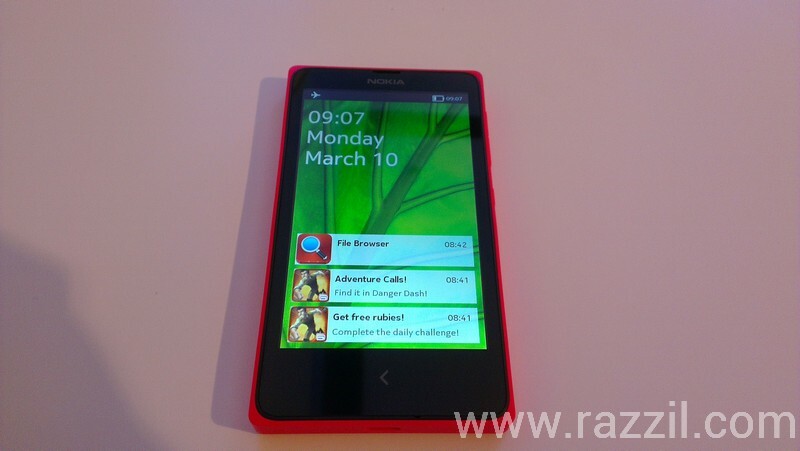 The Nokia X is built on Android base, has Tiles UI, Asha Fastlane, Nokia build quality and the most popular Microsoft services. The Nokia India has the launched the phone with the price tag on ₹ 8,599. 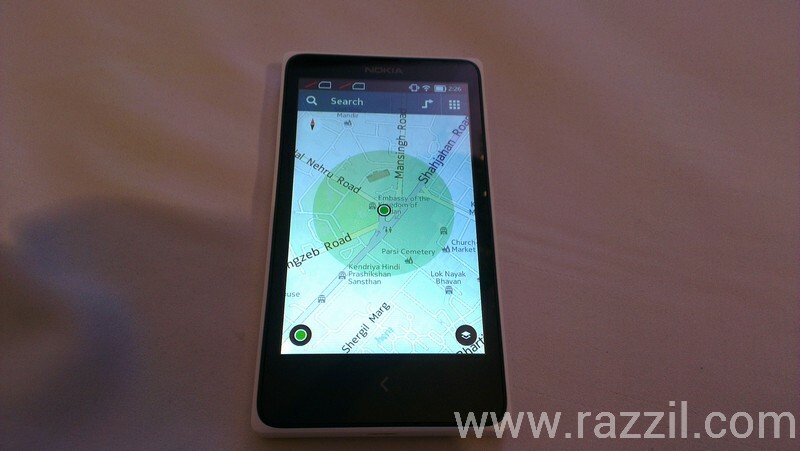 I spent some time with Nokia X and test how good device is. This short review is based on my hands on at the Nokia launch event in New Delhi. 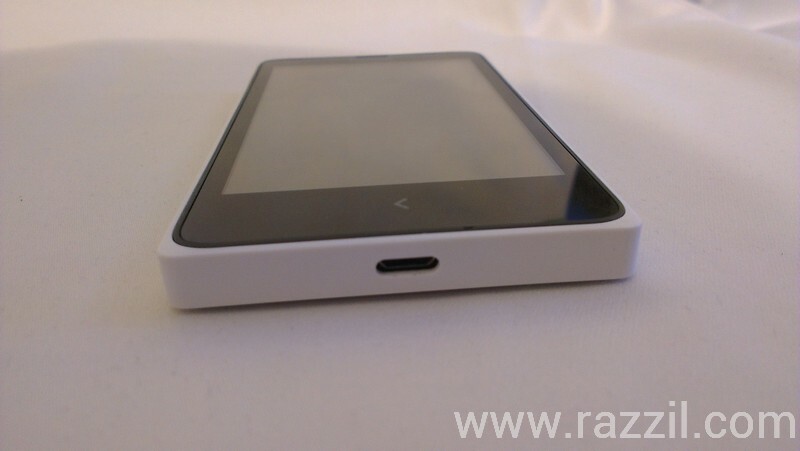 Nokia X has a 4-inch Capacitive touch screen with 115.5 x 63 x 10.4 mm dimension and weighted just 128.66 grams. We all know How good is Nokia phones build quality and they followed the same trends with Nokia X. Nokia X is very durable that it can survive even after falling from 6-8 feet height and the battery won’t come out on the drop. Many people think that build quality won’t matter, but remember it’s an entry level phone, you won’t get such build quality in any other phone. You’ve to open back cover to find SIM slot and MicroSD card is back. And Yes Battery is removable. You’ll find Power and Volume button on the right side of the phone, MicroUSB slot in down and 3.5mm audio jack on the top. You can change the back cover with different colors. There is only one capacitive button, single press will take you back and long press will take you to the home screen. 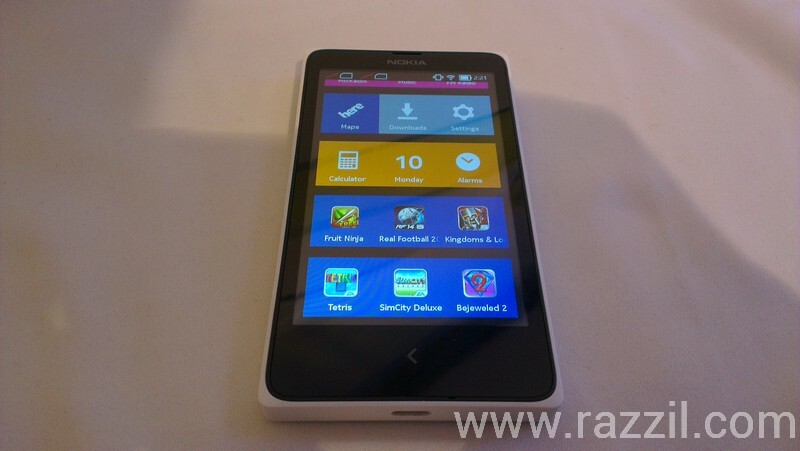 Nokia uses Android Open Source Project that is based on Android 4.1.2 Jelly Bean and on top of that Nokia built its own tile-based UI. Nokia X also comes with Fastlane, a screen which lets people switch between their favorite apps more smoothly. 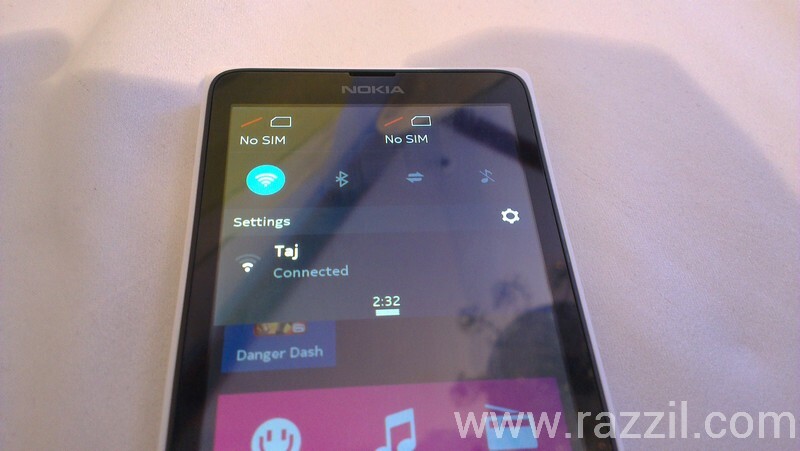 This feature Nokia borrowed from Asha phones. Fastlane record user activity and display the relevant information on screen. With Fastlane, users can return a missed call by calling or texting, accept or decline calendar invitations, control music player, read notification from Social Networking and update status. You can customize the Fastlane like selecting social networking sites, which apps notification will display on Fastlane etc. Nokia X doesn’t come with Google Play Store or any other Google App. Instead of that you can access apps from Nokia Store or other app stores such as Amazon. If you don’t find your favorite apps on app store, then you install the app by side loading apk. I’ve bad news for those who don’t like Bloatware, Nokia X is pre-loaded with third-party apps and games such as BBM, Twitter, Facebook, Plants vs Zombies, Truecaller, Vine, Tetris, Viber, Opera, Fruit Ninja, Sim City, Hill climbing etc. Consumers can also enjoy signature Nokia experiences, including free HERE Maps with true offline maps and integrated turn-by-turn navigation, Nokia MixRadio for free music streaming and downloadable playlist. The MixRadio is free for lifetime for Nokia X users. Nokia X is powered by 1GHz Dual-core Qualcomm Snapdragon processor and has 512 MB RAM, MicroSD card slot and 7GB free OneDrive cloud storage and an additional 3GB if you enable camera backup. 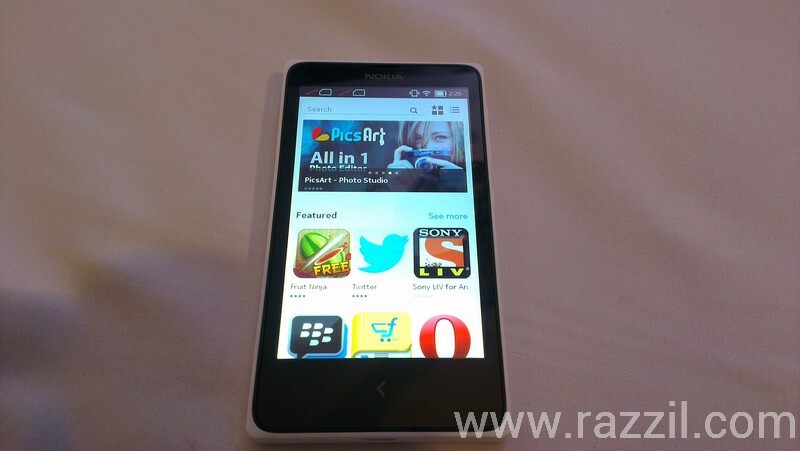 The device has 4GB Internal Storage, where 1.29 GB space is available for Apps. As we know Nokia X is based on Android 4.1.2 Jelly Bean and running Jelly Bean on 512MB RAM is quite a tough task, but Nokia device did a quite good job with performance. You may notice a slight lag with some apps and games. 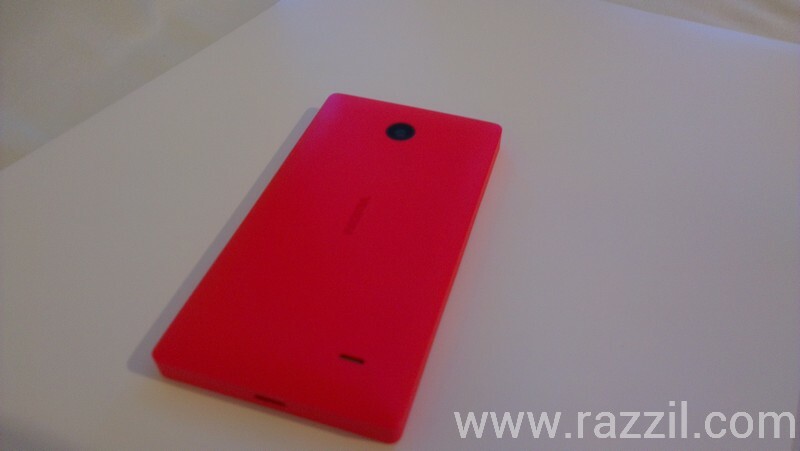 There is not much to talk about Nokia X camera. 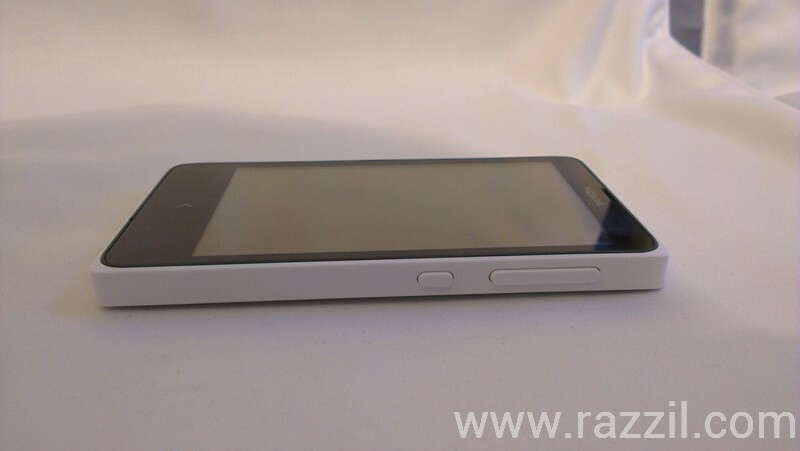 The phone loaded with 3MP Fixed focus rear camera with no LED and front camera. The camera took decent pics in natural light, but it’s a struggle if light is weak. But again, It’s an entry level phone so we won’t complain. The Nokia X dual SIM is available in India with the price tag on ₹ 8599 MOP and available in White, Black, Green, Yellow, Blue and Red colors. 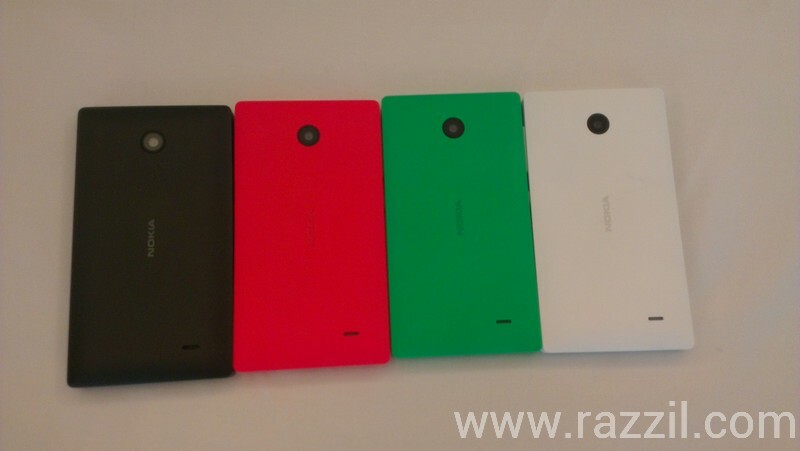 Nokia X is available in different colors. Best of Three Worlds: Android Base, Nokia durable hardware and signature software experiences such as HERE Maps, Fastlane, MixRadio and Microsoft services and tile based UI. Nokia X owners will surely love HERE Maps and MixRadio. 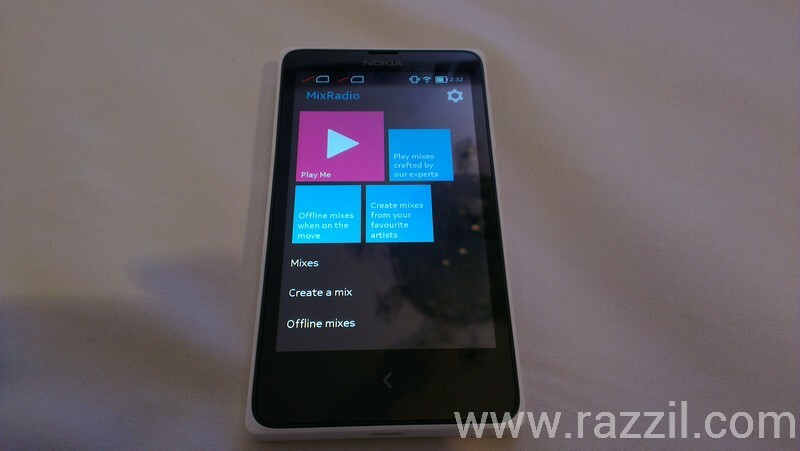 MixRadio is completely free for Nokia X users for a lifetime. 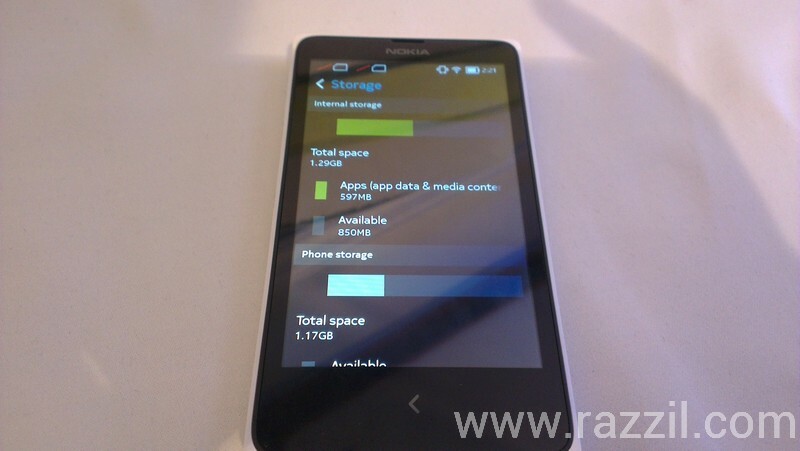 Nokia solid builds + dual SIM + MicroSD card + Great Battery life. The Perfect bundle for Indian users. Solid price, Nokia X is available under 10K which makes the phone solid in this category. Fastlane is very helpful to switch between apps and it comes more handy if you love social networking sites. Interchangeable covers and removable battery. No Google Play Store or Google apps which may make the consumer uncomfortable, specially if he/she is coming from Android phones. Though you can sideload apps. Hardware is not designed for powerful work. In Nokia X, the dual-core processor is backed by 512MB RAM which is not sufficient to execute heavy tasks. Bloated: Nokia is preloaded with many apps and Games which ate valuable memory and performance. But the good thing is that you can uninstall them.